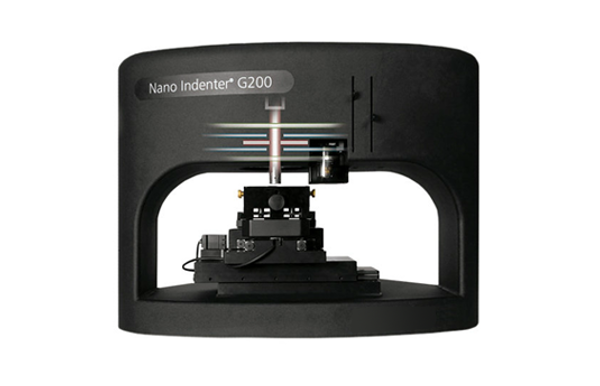 The Nano Indenter G200 is a high-performance nanoindentation system that provides fast, accurate, and repeatable mechanical property data with high spatial resolution. Several key features contribute to its best-in-industry performance. The Nano Indenter G200 also enables measurement of deformation over six orders of magnitude (from nanometers to millimeters). Modular options can be added to accommodate a variety of applications. With the Nano Indenter G200, users are able to quantify the relationship between structure, properties, and performance of their materials quickly and easily with minimal sample preparation. The user-friendly design of the Nano Indenter G200 simplifies training requirements — standard tests can be run on the same day the instrument is installed. Every Nano Indenter G200 is backed by highly responsive KLA and Nanoscience Instruments customer service personnel. Knowledgeable and experienced regional applications engineers are available to guide users through more advanced testing, provide outstanding technical support, and offer unmatched applications expertise. In conventional quasi-static indentation testing, the stiffness of contact is determined by analyzing the force vs. displacement curve during unloading. This depth-sensing method provides a single measurement for the given indentation depth. The KLA Nano Indenter G200 Continuous Stiffness Measurement (CSM) mode, which is compatible with both the XP and the DCM II indentation heads, satisfies application requirements that must take into account dynamic effects, such as strain rate and frequency. 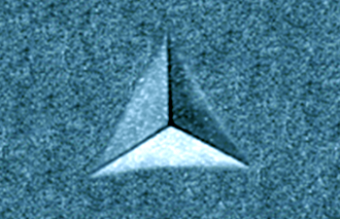 The CSM technique is a revolutionary step in the mechanical property measurement of materials. It allows the measurement of depth-dependent properties of materials in a single step. The method involves applying a dynamic load on the top of the static load while loading. The dynamic part of the load is then used to measure the stiffness which is further processed to calculate the modulus and hardness of the material. The CSM option offers a means of separating the in-phase and out-of-phase components of the load-displacement history. The separation provides an accurate measurement of the location of initial surface contact and continuous measurement of contact stiffness as a function of depth or frequency, thus eliminating the need for unloading cycles. This makes CSM a powerful tool not only for stiff materials such as metals, alloys, and ceramics but also for time-dependent materials like polymers, structural composites, and biomedical materials. 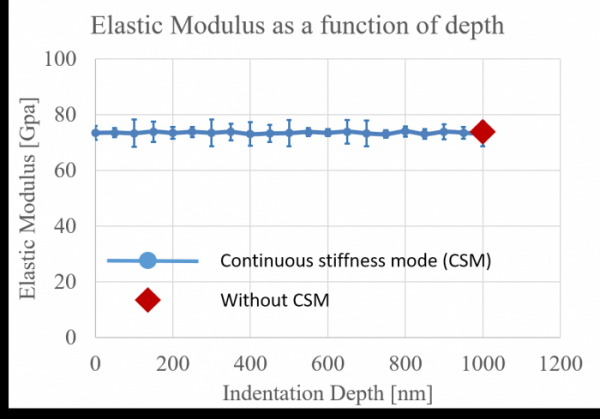 The state-of-the-art CSM option provides the only means available to both fully characterize dynamic properties in the nanometer range and accurately characterize viscoelastic materials, providing values such as complex modulus. Indentation tests using CSM can be controlled with a constant strain rate, a critical test parameter for material systems such as pure metals or low-melting-point alloys, and polymer films and film/substrate systems. Express Test is an option that allows up to 100 indents to be performed at 100 different surface sites in 100 seconds. Express Test, the world’s fastest means of performing instrumented indentation for mechanical-properties mapping at the nanoscale, is compatible with all G200 indentation heads and stages! Designed exclusively for use with the Nano Indenter G200, KLA’s highly versatile, easy-to-use Express Test methods are ideal for applications that involve metals, glasses, ceramics, structural polymers, thin films, and low-k materials. 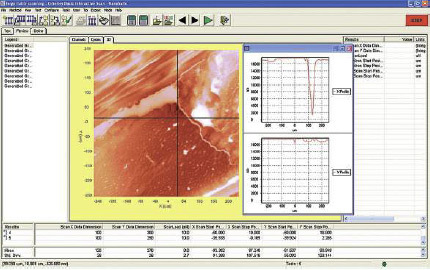 This technique is particularly useful to investigate heterogeneity in the sample surface such as irradiated materials, heat treated materials, and multi-phase alloys when the properties are not constant across the surface. With KLA NanoSuite software, users can automatically generate histograms and 3D mechanical-properties maps. Graphs and supporting data are easily exported to Microsoft Excel. It is difficult to maintain temperature without thermal drifts in a high-temperature experiment. The Laser Heater option for the Nano Indenter G200 system is the solution. It utilizes a precise high-power diode laser to heat the stage and sample to address this issue. Advantages include the ability to measure nanomechanical properties at controlled temperatures and the ability to test samples under dynamic temperature conditions. 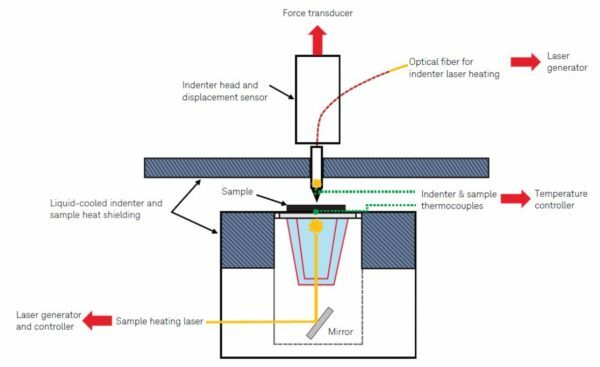 The system’s laser-heated indenter tip prevents disturbance of substrate temperature during measurement. By keeping the tip and sample at the same temperature, the G200 enables high-temperature continuous stiffness measurements (CSM) with exceptional precision. The G200 laser heater is the world’s most flexible instrument for high-temperature nanoscale mechanical testing. When time or temperature dependent deformation occurs, it becomes difficult to decouple creep and elastic recovery during the unloading segment of a quasi-static test for the calculation of stiffness. So, as opposed to measuring the stiffness from unloading the material, the CSM technique imposes harmonic displacement oscillation during the hold period at peak indentation force to measure high-temperature properties. To ensure reliable data, the laser heater option minimizes drift associated with heating. Users have the option to purge samples with various gasses to avoid contamination and oxidation. Every Nano Indenter G200 comes with NanoSuite Professional software, a premium-performance package that gives researchers in scientific and industrial settings an unprecedented combination of speed, flexibility, and ease of use. 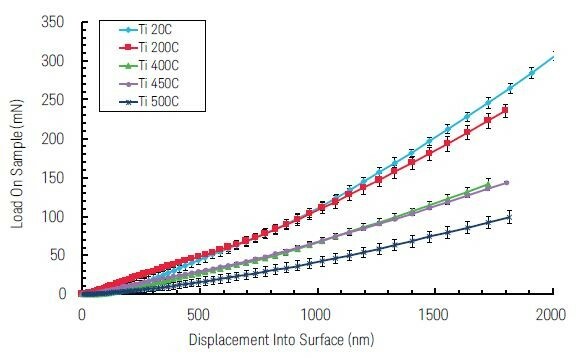 NanoSuite offers a variety of prewritten test methods, including an exclusive nanoindentation technique for making substrate-independent measurements of thin film materials, several novel techniques for testing polymers, and improved scratch test methods. In addition, custom test methods can be written for user-specific experiments. The Nano Indenter G200’s field-proven method for testing in compliance with ISO 14577, the international standard for indentation testing, is provided as well. NanoSuite includes a fully integrated tool that greatly simplifies the determination of indenter area function and load-frame stiffness. Once a rather involved and time-consuming endeavor, this process now requires only a couple of mouse-clicks within the NanoSuite program. An intuitive user interface allows for easy set up to quickly run experiments — changing test parameters as often as desired — with just a few clicks. NanoSuite offers support of small force/displacement measurements, surface topology, stiffness mapping, scratch tests, and more. Versatile imaging capabilities, a survey scanning option and streamlined test method development help researchers get from testing to results in record time.